I don’t know that I’ve met too many people throughout my career that actually enjoy going to the dentist. Now, while most dentists are mighty fine folks, we understand that we are not pariah, but rather just not an enjoyable place to hang out. We get it! However, what most dentists enjoy more than anything is having a proactive preventive dental care program with all of their patients to ensure that the majority of office visits are simple checkups and cleanings rather than the more painful visits caused by unattended plaque and decay. You see, once gingivitis sets in, it can easily be reversed. However, when left unattended, gingivitis turns into more serious gum disease and more severe forms of periodontal disease. Not good. When the gums begin to swell, and become inflamed, in the more advanced forms of gum disease, the gums begin to separate from the teeth, which causes weak roots and ultimately resulting in tooth loss. This can obviously all be avoided with simple proactive oral healthcare. You don’t want to be the person hunting an emergency dentist or a dentist open on Sunday morning due to a horrendous toothache. Yes, it happens to the best of us, and even occasionally when we have done everything to proactively care for our teeth, but these are rare occurrences when we engage in an ongoing preventive dental care program. One thing that we like to outline with all new patients is that emergency dental care is something that, from time to time, is necessary. Within our “About Us” page, we outline how we deal with emergencies and what to do when you have a dentist emergency as a patient of ours. Look, when a toothache comes, it generally doesn’t give us much fair warning. So, we want to take a quick moment to outline a couple really simple home remedies for toothache pain to get you through the pain until you can arrive to a dentist. Peppermint Tea Bags – Did you know that peppermint has numbing qualities in it very similar to that of cloves? By simply applying the cooled, wet tea bag on the painful area, this works well as a toothache remedy to sooth and minimize the pain. Use the teabag for about 15-25 minutes. This is obviously not a long term solution, and will not cure the problem, but is meant to be an extremely short term pain reliever. Salt Water – By rinsing with salt water to clean out the infected area that is causing discomfort, this can provide short term pain relief. Simply swish the salt water around in your mouth for 20-40 seconds. Then repeat this process a couple times. Again, this is not a long-term solution and this will not serve to cure anything. Schedule a dentist appointment immediately. When people experience tooth pain, one of the very first things they begin to consider is the type of dental healthcare they have. Whether you are a student, a senior, or a family, there are many different dental care programs, within the insurance industry as well as many programs available directly with dental clinics within the community, such as ours. 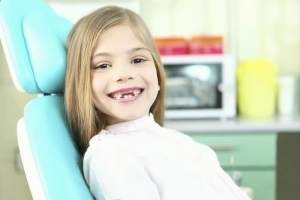 What is the best dental insurance for students? Well, often times there are very specific programs available through the school itself. Just contact your health administrator and ask them what programs are available. Student dental insurance doesn’t’ have to become an overwhelming task to identify what is available, so just head on down to the student health center and they’ll let you know what is available. Now, as far as senior dental insurance, there are multiple programs for seniors that have specific oral healthcare needs. What we recommend is that you schedule an initial consultation with us, let’s evaluate your needs, then we can better guide you to the respective programs that are available. While we encourage everyone within the community to engage in a simple proactive preventive dental care program, we realize that dental emergencies arise from time to time. So, prior to the next emergency, let’s meet and conduct a comprehensive exam to determine your current oral health. If everything is going great… fantastic. 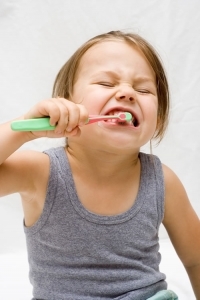 With simple exams and cleanings in the future, we can stay on top of maintaining good oral health. On the other hand, if there are issues that need to be addressed, we can outline a specific course of action. So, head on over to our About Us page and schedule your consultation now. We are looking forward to meeting you!